White Lies release new single "Come On"
Preoccupations debut epic new "Memory"
As previously reported Elephant Stone are releasing their fourth full length album Ship Of Fools soon -- digitally on September 16 and physically November 25th. The band will also be hitting the road this autumn in support of the release, and the tour itinerary now includes a show in Detroit. 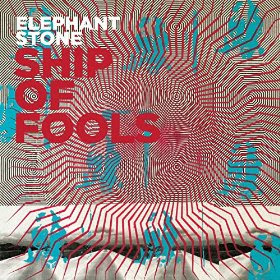 Don't miss Elephant Stone October 16th at Smalls in Hamtramck. Purchase paperless tickets (through PayPal) or visit Smalls' website for more info. View Elephant Stone's North American tour itinerary below and pre-order Ship Of Fools from iTunes, Amazon, or Pledge Music.